We are often told that information is power - and that by extension – access to information is empowerment. ICT4D often imagines that provision of internet access – and to the wealth of information on the world wide web - is itself empowering and that it constitutes 'development'. Yet this imagined link between information access and development is largely illusory - as Kentaro Toyama explains in this video and as discussed at length in this IDS Bulletin. Contrary to popular belief, access to information or to ICTs does not necessarily correlate positively with development gains. In fact the rapid expansion of internet access in many of the world's most technologically advanced countries is often accompanied by growing social inequality and by a widening of the gap between rich and poor. So access to information is not empowering – at least not automatically. Understanding this has important consequences for digital development. ICT4D projects are regularly motivated by the aim of extending information access to socially excluded groups. Examples include some rural telecentre roll-outs, laptops in schools programmes, and many open data projects and transparency initiatives. The underlying theory of change in much of this ICT4D is that the provision of access to information is itself empowering and leads to development. Yet we all know from our own experience that access to information is not necessarily empowering. Wikileaks, the Clinton's emails and the Panama Papers have provided us with a torrent of information to substantiate our intuition that powerful elites don't represent our interests. However access to this information does not – in and of itself - empower us to bring about justice or to transform the situation. Why? Because access to information is not the same as the power to act on information. Different individuals have different capabilities, different social and economic capital, and their gender. 'race' and class (dis)advantages them. These power relations affect people's ability to convert their access to information into valued development. Extending access to information does not restructure power relationships and social inequality. Information access is only empowering to the extent that people have the capability and intent to use it to transform their situation. Given this reality, digital development initiatives must go beyond access to information and enhance people's ability to make effective use of that information to transform their own situation. Exactly what is required to achieve this will differ according to context but some elements are likely to reoccur. For example, technical skills training may be necessary enable people to make optimal use of ICTs. However I recommend complementing technical training with critical dialogue workshops to create space ofr participants to collectively identify the root causes of the inequality that they experience and to devise action to tackle the causes. Building this 'critical agency' for development is 'pivotal' to development - and to tackling inequality of any kind - according to Amartya Sen and Paulo Freire. 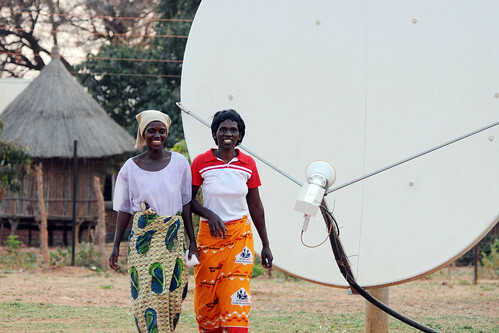 I expand on the importance of critical agency for ICT4D in this blogpost.